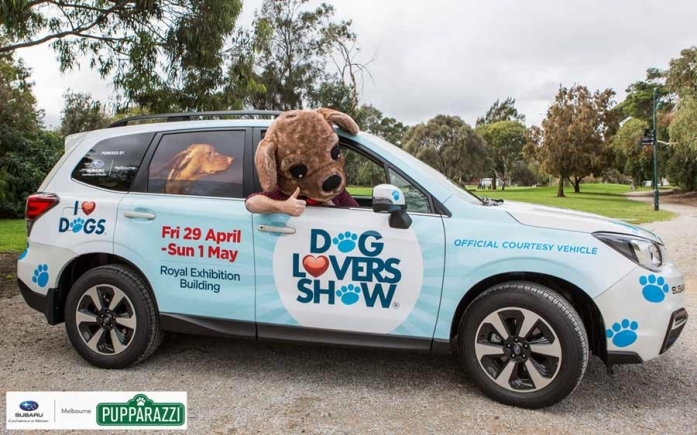 If you’re around Melbourne this week, keep your eyes peeled for the Subaru Docklands ‘Woof Wagon’ – you won’t miss it, it’s got paw prints all over it! They’re in town to promote the Dog Lovers Show, held this coming weekend at the Royal Exhibition Building in Carlton Gardens which we’ll be attending on Friday. Come and say hello to the Pupparazzi Pet Photography team at the Subaru Docklands stand and grab your discount voucher which is exclusive to the show!